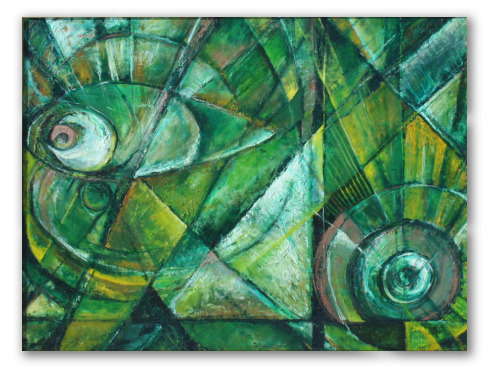 "Green", Abstract Oil Painting, Straight and Circular Shapes. 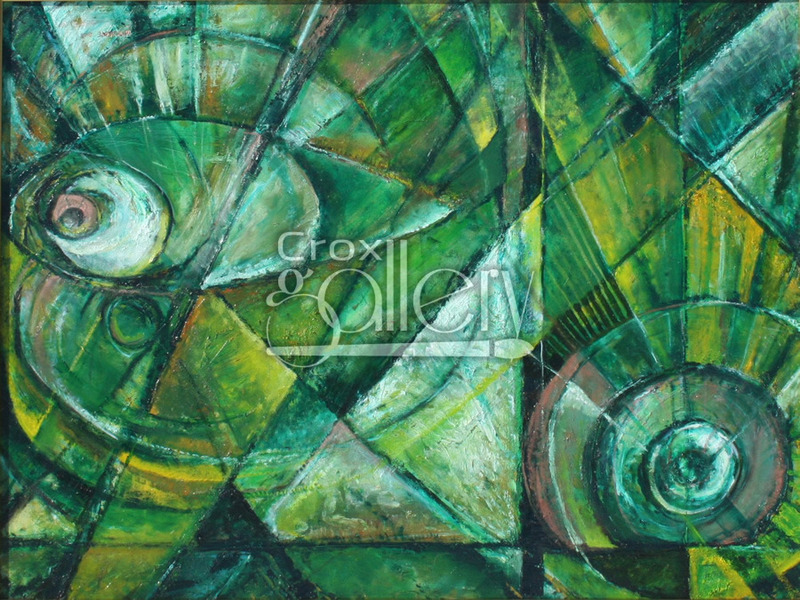 Abstract art composed of green colors, where round spiral silhouettes are mixed with straight forms. Ideal for rooms connected to outdoor areas.